The Glen Huntly Road and the Hawthorn Road applications are in our Neighbourhood Centres (Activity Centres) with no controls whatsoever. Thus these so called ‘lower order’ activity centres are now reaching heights in excess of our Major Activity Centre of Bentleigh! There is no height limit in the Commercial 1 Zone that forms the core of the Caulfield Park Neighbourhood Centre. However, the 5-7 storey heights of the recently-approved buildings are considered to be appropriate given the built form and planning policy contexts of the area. We are not persuaded that the building would be unduly tall in this centre because: There is no specific guidance in the scheme in a schedule to the zone, a DDO or a policy regarding the preferred height. This above decision was handed down in 2015!!!! Thus for over 4 years this council has done absolutely nothing to ensure that our neighbourhood centres are adequately protected. And residents are still waiting for some guidance on what is to be done with the remaining neighbourhood centres and when!!!!! There are currently no maximum mandatory or discretionary height limits for this area. It is acknowledged that strategic planning work will be done by Council for this activity centre in the future and it is considered that the 7 storey height of the proposal will not prejudice the orderly planning of the area. A 3 metre rear laneway that will be the entrance and exits for both 7 storey building car parks. The ‘solution’ is to use some of the ‘rear setbacks’ of the buildingS as a passing lane. Planning at its absolute best! Council’s Transport Planning Department has advised that the proposal would significantly increase the volume of traffic using the laneway. An estimated additional 35 peak hour vehicle trips will need to be accommodated in the laneway. Furthermore, the cumulative effect of the additional peak hour vehicle trips generated by the 3 developments at 67, 79 and 97 Hawthorn Road will be 4 times current volumes (i.e. 65 vehicles/hour with >50% attributable to the proposal). Given that the laneway currently carries an average of approximately 15 vehicles in each of the morning and afternoon peak hours, it is anticipated that the total future traffic volume would be in the order of 80 vehicle movements/hour which is relatively high but will be manageable provided that suitable passing areas are provided along the laneway. It is noted that there will be additional opportunities for additional passing areas for future developments at the southern end of the laneway. We can only assume that residents will now have to back up a considerable distance into these ‘passing areas’ so that 2 cars can get by. 6 storeys in Murrumbeena, etc. etc. 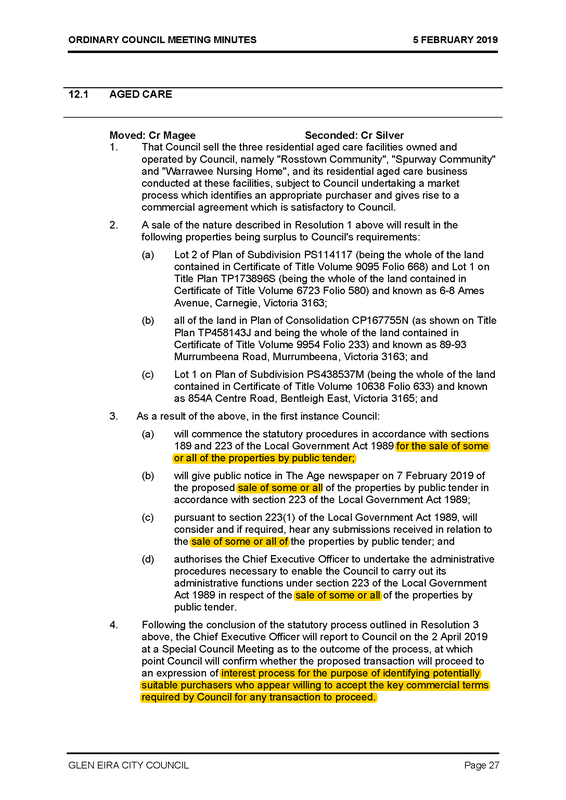 When for years VCAT has been handing down decisions in these areas that state again and again that no planning controls exist, council has done nothing except sit back and gloat or blame VCAT. Our summary of the Neighbourhood Character Overlay will feature in a coming post.